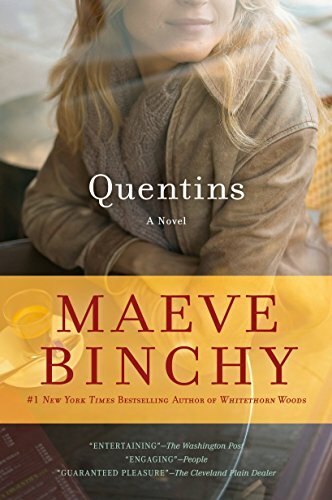 "Scarlett Feather" by Maeve Binchy is set in Dublin, Ireland. It follows the intertwined lives of a group of characters over the course of a year. 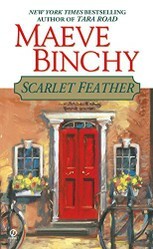 "Scarlet Feather" is one of Maeve Binchy's many novels, and I can honestly say that it is every bit as enjoyable as her best books, and in some places even more so. 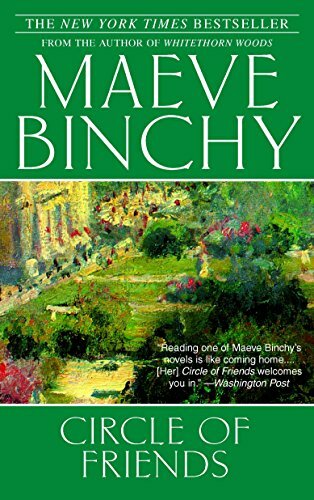 Maeve Binchy wrote about people in her native Ireland, about their every day lives, hopes, dreams, and disappointments. Never dull, yet completely believable, her characters experience life the way many Irish people have over the past half century and more. Some travel to distant lands for vacations, or to start a new life. Some marry the right person and have a wonderful family; others marry the wrong person and suffer; others don't marry at all but have a variety of affairs. Some characters are good people, some less so, but all are fascinating. Did I say it's not dull? Never boring, always fraught with the real challenges of life and the challenges of a society itself going through changes, this book is a joy to read. And of course, being a Brit, albeit from Scotland, it does feel kind of like home! 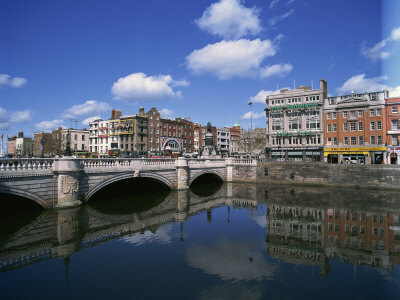 Scarlet Feather is set in contemporary times, in Dublin, Ireland. The novel takes us through the lives of a group of people during the course of a year; each chapter covers a month of this year. Many of the characters are already related to each other at the beginning of the story, and other characters quickly become part of their lives. The scene is set in the first chapter, entitled "New Year's Eve," where several characters hear a radio show asking people what they really wanted to be doing on New Year's Eve. Predictably, the callers in to the show all wanted to be doing the opposite of what they were doing: Those staying at home with nothing to do wanted to go out partying, and those who were busy and stressed wanted to be home and sleep. 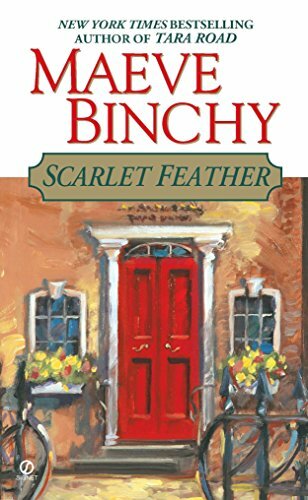 It's not Maeve Binchy's first, or even most recent, novel but Scarlet Feather is a classic Binchy tale. The characters could be real people you know, and their lives are not far from our lives either. Funny at times, filled with struggles and heartaches too, this book takes us through a memorable year in their lives. When we meet the characters they are all wishing for something different on their New Year's Eve. "Cathy, daughter of poor Lizzie Scarlet, the maid who cleaned Oaklands, who had married the only son of the house, Neil, was well able to run her own business and hold her head as high as any of them." Cathy Scarlet, yes the Scarlet in Scarlet Feather, is the daughter of a typical Irish family, the "working class" of their time. Her husband, Neil comes from a rich family. Cathy's mother, "poor Lizzie," worked as a maid for Neil's family and his mother never lets them, or anyone else for that matter, forget it. Neil Mitchell is a lawyer, a crusader for civil rights. He works long hours to help those in need, like the Nigerian in danger of deportation due to his papers not being in order. Neil brings him to his parents' New Year's Eve party where Cathy is doing the catering. And then, the party is "crashed" by Neil's twin cousins, Simon and Maud. "They were pale, solemn-looking children who asked disconcerting questions ..."
The twins, Simon and Maud, really steal the show for me in this book! And not just when they literally steal the show with their performance of Irish dancing at a wedding. Their direct questions, so honest and logical, just have me laughing and crying. Their situation is actually quite grim, bleak even. Their parents are hopeless. The mother suffers from "nerves" for which she drinks excessively and their father "wanders" a lot. Unloved and basically abandoned, they arrive uninvited at the New Year's Eve party of their rich relatives because they have nowhere else to go. Although initially called the "maid" by these alternately obnoxious and pitiful children, Cathy agrees to take them into her home. She's not that happy about it though, as her rant to her mother about her mother-in-law's refusal to deal with the twins reveals. "Tell me what's good about her, one thing good about a woman who won't even take two unfortunate brats who are part of her husband's family. ... I know they're monsters and they're both daft as brushes but they're not the worst, and it's not their fault that everyone has abandoned them and nobody wants them." And, of course, the twins heard every word! But under Cathy's wing, with the help of her parents, Simon and Maud blossom during a year that contains many upheavals in their lives and in the lives of everyone they know. "What would he like to do on this New Year's Eve? Find the perfect place for their company to set itself up, and then he would like to stay at home with Marcella and to stroke her beautiful hair as they sat by the fire and talked about the future." Tom Feather, yes the other half of Scarlet Feather, and his beautiful girlfriend, Marcella, also feature significantly in the story. Tom and Cathy are college friends whose dream is to run a catering business, which they name "Scarlet Feather." Tom is a great guy, a hard worker, a great friend to Cathy, and he just wants his gorgeous girlfriend Marcella to marry him. Marcella, however, is biding her time working as a manicurist while all the while dreaming of becoming a successful model. Their relationship goes through many challenges as both pursue their dreams. Maeve Binchy has never been afraid to raise social issues in her novels. In the earlier ones religion, specifically the power of the Catholic Church over people's lives, was often central to her plots. In Scarlet Feather more contemporary issues are featured. And it is the outspoken and irrepressible but disarmingly honest twins, Simon and Maud, who are the ones who often raise the significant questions. "Do people have pedigrees too?" Cathy responds emphatically to Simon's astute question, "No, all people are born the same, they make their own pedigrees." But the other characters, and even Cathy herself, know that this isn't the case. Neil's mother never lets anyone forget that Cathy's mother worked for her as a maid, basically a servant. That makes her and her family, including Cathy, inferior; and, as such, unsuitable as a wife for her son. Even though times have changed and Cathy and Neil married, the older generation don't let them forget that family background matters. In one sense this is true. Lineage does matter. But it shouldn't constrain people to be "inferior." Rather, it should be the foundation upon which people grow and achieve their full potential. "Why don't you stay at home and have children instead?" Already questioned by Simon about why she is buying a business (perhaps Neil doesn't give her enough money), Cathy answers Maud's question by saying that she'll be working long hours at her business so they plan to wait a few years before having children. In classic Simon and Maud fashion, the issue of women balancing career and family continues with their concern about whether Cathy will be too old to have children if they wait, what would happen if children come earlier by accident, and how to prevent such accidents. Maud's brilliant solution to the last issue is that they'd only "mate" about once a month! Women working outside the home do indeed face a difficult challenge in how to balance having and raising children with their career. The issue of how long to put off having children while developing a career is one of the significant challenges of contemporary life and Maeve Binchy is not afraid to raise it. Maeve Binchy was born in Dalkey, Ireland, just 10 miles from Dublin. She spent her childhood, college time, and early working time living at home, a happy home, and her vacation time traveling the world. She worked as a teacher and as a writer for the The Irish TImes and various magazines. She married a man who was also a writer and they settled in that same Irish town of Dalkey where she grew up. As she put it "Why leave a good place?" She died on July 30, 2012. Maeve Binchy wrote over a dozen novels as well as several collections of short stories. Scarlet Feather is typical of her work. It is set in Ireland, at least for the most part since her stories also often include the places she visited and enjoyed on her travels. Her characters are so real, so Irish, and their lives are also real but never boring. She wrote about how life was and is in Ireland, how times have changed, and the different ways the older and younger generations experience their home country and view the world. But the issues in many cases are timeless: Love, loss, friendship, trust, betrayal, work, family, religion, morality, class and gender issues in society are some of the themes that run through her writings. 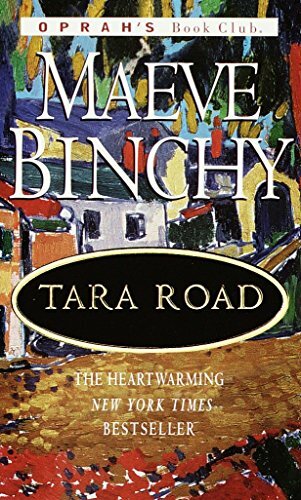 While Maeve Binchy was not afraid to tackle the toughest issues, she wrote as a novelist not a political activist. She observed the changes in society, writing more about strength and weakness of character than about any social or political issue. I love her writing; her characters are so real and their lives so enthralling, the books are so enjoyable I just want to keep reading them! Have you Read "Scarlet Feather"? Looks like an interesting read, thanks to your review. It's on my list! Thanks! Yes, connects to the soul, exactly! Your welcome - hope you enjoy it! It sounds like a pleasurable read. Thank you for your article. I may read this book. "The Shell Seekers" by Rosamunde Pilcher is a wonderful book - a joy to read! "Nineteen Minutes" is a gut-wrenching story told by the masterful Jodi Picoult. I love her work and this is one of her best novels.